Phasing into the Marvel bishoujo statue line to join her fellow X-Men is Kitty Pryde! First appearing in Uncanny X-Men #129, Kitty became an instant hit with comic book fans and soon became the heart of the X-Men team. Her powers enable her to become intangible and phase through solid objects. She can also phase other objects she touches, making her an incredibly versatile asset to Xavier’s mutants. Designed by Shunya Yamashita and scuplted by Mangusai Touda, the Kitty Pryde bishoujo statue exhibits the energetic spirit of the character. Running into action, Kitty is joined by her pet dragon, Lockheed, who joined her in her adventures in Uncanny X-Men #166. Kitty wears her classic X-Men bodysuit, and her bright red belt carries the X-Men insignia. Her curling hair adds to the dynamic personality that is Kitty Pryde! 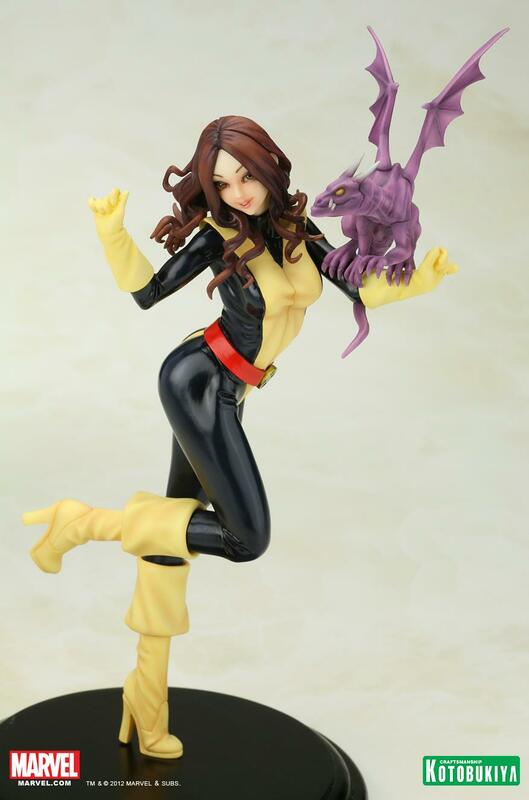 Add Kitty Pryde to your Marvel bishoujo statue collection today!